1.Water with lemon provides the body with electrolytes which hydrate your body. As lemons contain good amount of electrolytes such as potassium, calcium and magnesium. 2.Water with lemon is good for the joints, reducing pain in the joints and muscles. 3.Warm water with lemon helps digestion as lemon contains citric acid. It interacts with other enzymes and acids which easily stimulate the secretion of gastric juice and digestion. 4.The liver produces more enzymes from water with lemon than from any other food. 5.Water with lemon cleanses the liver. Lemon juice stimulates the liver to release toxins. 6.Water with Lemon helps fight infections of the respiratory tract, sore throats and inflammation of the tonsils. This is due to the anti-inflammatory properties of lemon. 7.Warm water with lemon helps regulate natural bowel movement. 8.Water with lemon is indispensable for the normal work of metabolism. Since lemon is a powerful antioxidant, it protects the body from free radicals and strengthens the immune system. 9.Water with lemon aids in proper functioning of the nervous system (as lemon has a high content of potassium). Depression and anxiety are often the result of low levels of potassium in the blood. The nervous system needs a sufficient amount of potassium to ensure sustainable signals to the heart. 10.Water with lemon cleanses blood, blood vessels and arteries. 11.Water with lemon can help lower blood pressure. A daily intake of one lemon can reduce high blood pressure by 10%. 12.Water with lemon creates an alkalizing effect in the body. Even if you drink it immediately before a meal, it can help your body maintain a higher level of pH. The higher the pH, the more your body is able to fight diseases. 13.Water with lemon is good for the skin. 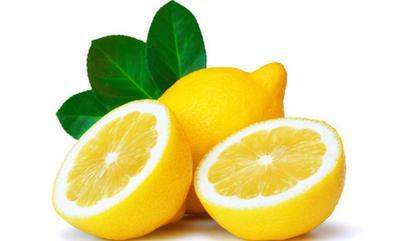 Vitamin C in lemon, improves our skin by rejuvenating the body. Drinking water with lemon regularly (every morning) will improve the condition of your skin. 14.Water with lemon helps to dilute uric acid, the build up of which leads to pain in the joints and gout. 15.Water with lemon is beneficial for pregnant women. Since lemons are loaded with Vitamin C, it acts as an adaptogen helping the body cope with viruses such as colds. Furthermore, vitamin C helps the formation of bone tissue of the unborn baby. At the same time, due to the high content of potassium, a mixture of water with lemon helps forming cells of the brain and nervous system of the baby. 16.Water with lemon relieves heartburn. For this, mix a teaspoon of lemon juice in half a glass of water. 17.Water with lemon helps dissolve gallstones, kidney stones, pancreatic stones, and calcium deposits. 18.Water with lemon helps with weight loss. Lemons contain pectin fiber, which helps suppress hunger cravings. Studies have proven people with a better alkaline diet have lost weight faster. 19.Water with lemon helps with tooth pain and gingivitis. 20.Water with lemon prevents cancer. This is due to the fact that lemons are a highly alkaline food. Multiple studies have found that cancer cannot thrive in an alkaline environment.